Click Here for more information about the Greenwood System for Therapeutic Programs. The Greenwood System 120™ provides the students and college counselors with the information they need to make important decisions about classes, internships, and college. The results are amazingly accurate and powerful. The GS 120™ gives our kids focus and direction. 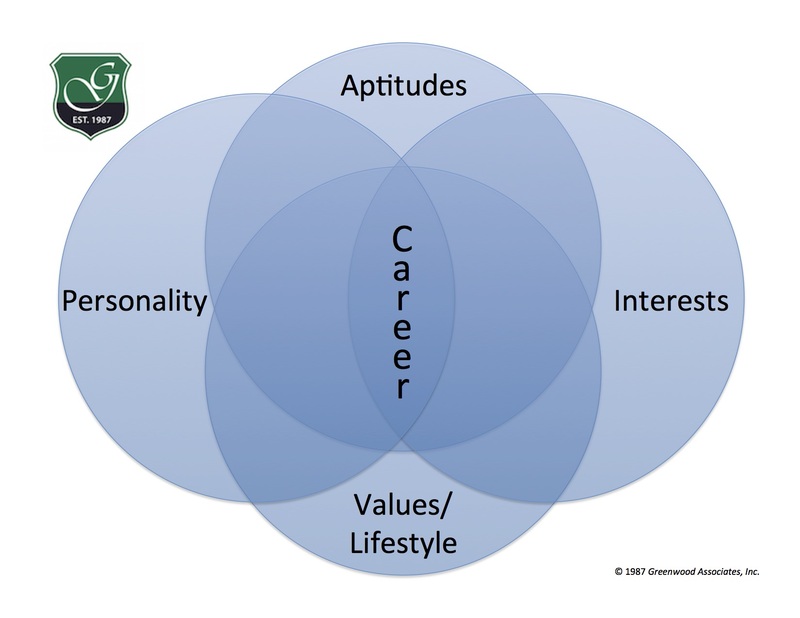 Having a career direction has increased their drive and made them grittier. 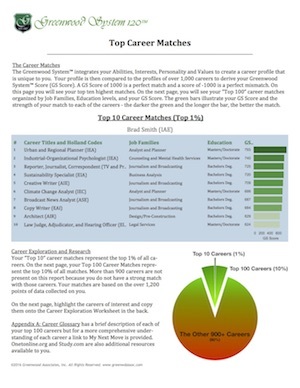 Combining Abilities, Interests, Values, and Personality to find the best matches! 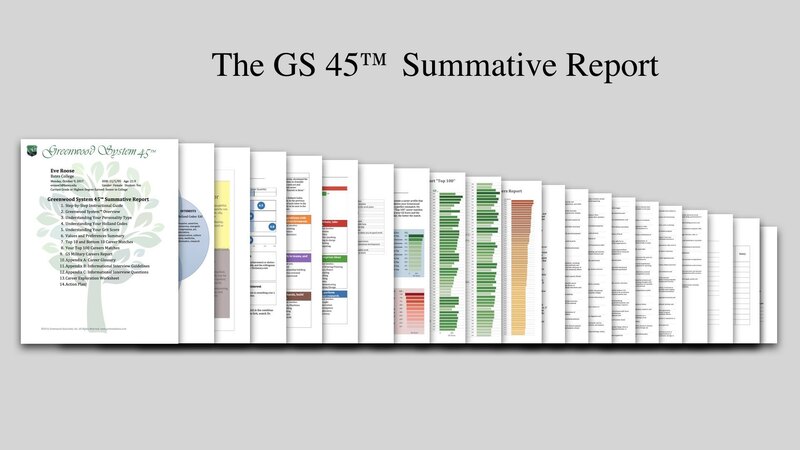 Program staff are trained in the use of the GS 45™ and 120™ and each report is supported by one-on-one consultation with a Greenwood Associate Staff. 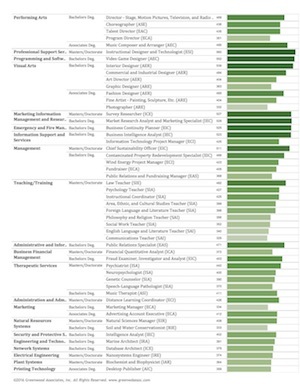 This robust assessment and report paired with professional support, provides the highest level of career and educational counseling available in the industry. 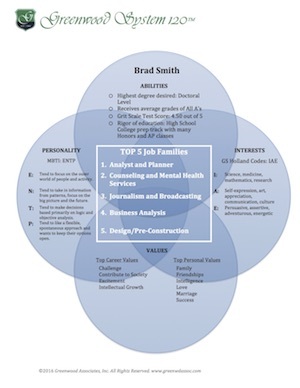 This option has the highest degree of program and future planning integration; helping your students learn about themselves, careers and educational paths for which they are a good match, and relieve anxiety as they transition and adjust to their new normal or realize their strengths and talents as they emerge as a young adult. Greenwood Associates, Inc. works with clients remotely at programs across the country. 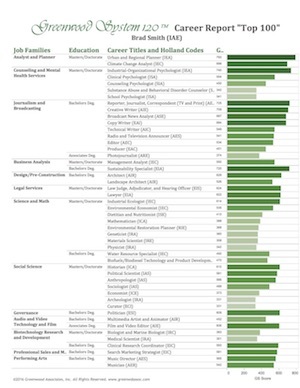 Programs are welcome to add Greenwood Associates – Career and Educational Counseling to your a-la-cart menu of outsourced professional offerings options. 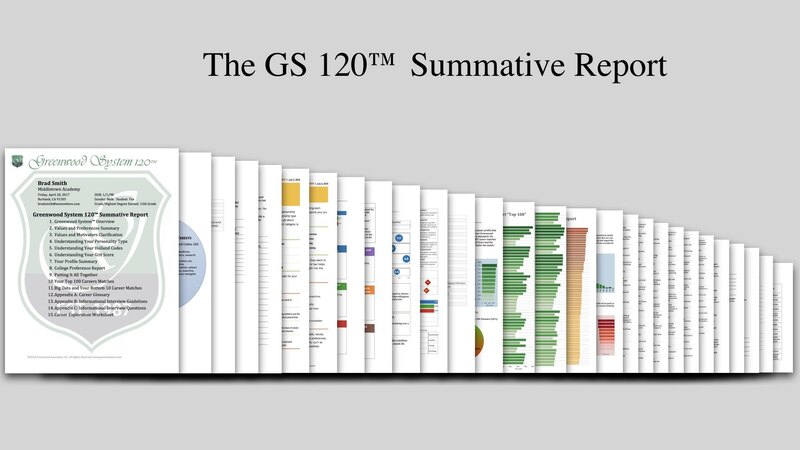 Greenwood Associates staff will work closely with your program to ensure the best use of the GS 120™ process.